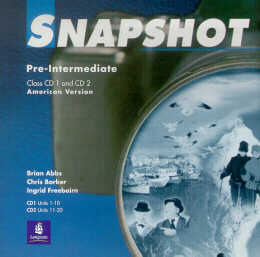 SNAPSHOT is a course for teenage students of English as a foreign language. * The design of the course and the topics and issues that it presents must capture the students´attention and overcome any initial problems with low motivation which they may have. * Giving all students the opportunity to achieve success at their own level. * Encouraging learner independence. * The Students´Book consists of twenty units divided into four sections of five units.ner training.